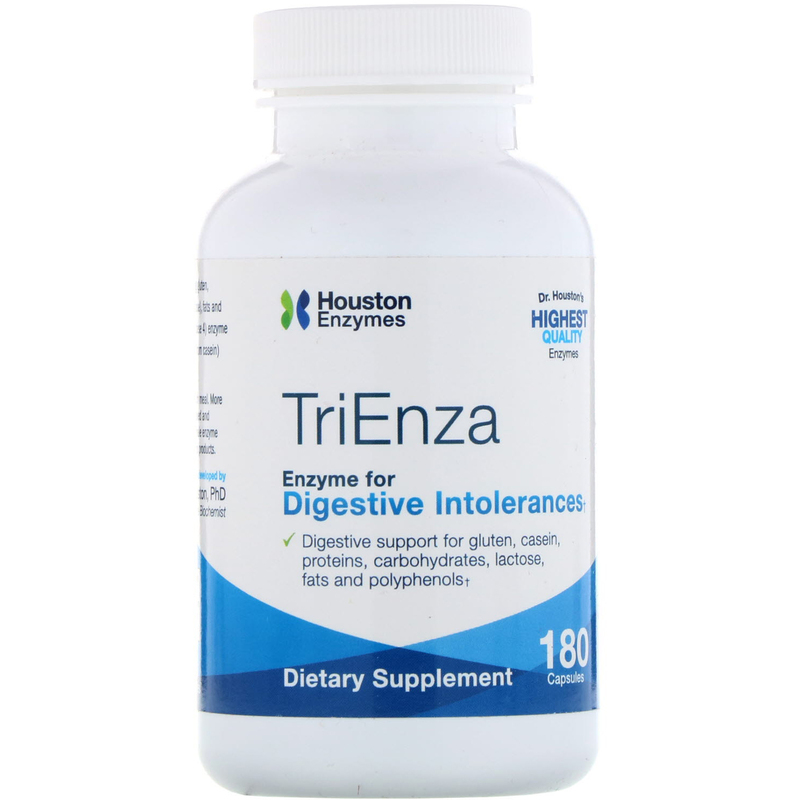 TriEnza aids in the digestion of food proteins (including gluten, casein and soy), carbohydrates, sugars (including lactose), fats and polyphenols. 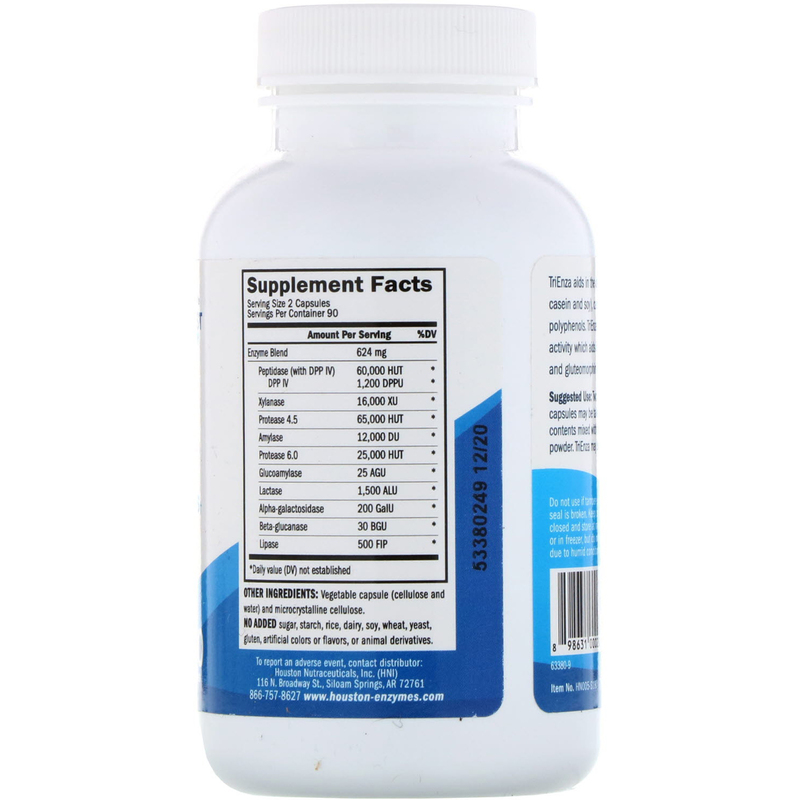 TriEnza includes DPP IV (dipeptidyl peptidase 4) enzyme activity which aids in the breakdown of casomorphin (from casein) and gluteomorphin (from gluten). Two (2) capsules at the beginning of each meal. More capsules may be taken as desired. Capsules may be opened and contents mixed with food or beverage. Use care not to inhale enzyme powder. TriEnza may be taken with other Houston Enzyme products. Vegetable capsule (cellulose and water) and microcrystalline cellulose. No added sugar, starch, rice, dairy, soy, wheat, yeast, gluten, artificial colors or flavors, or animal derivatives.